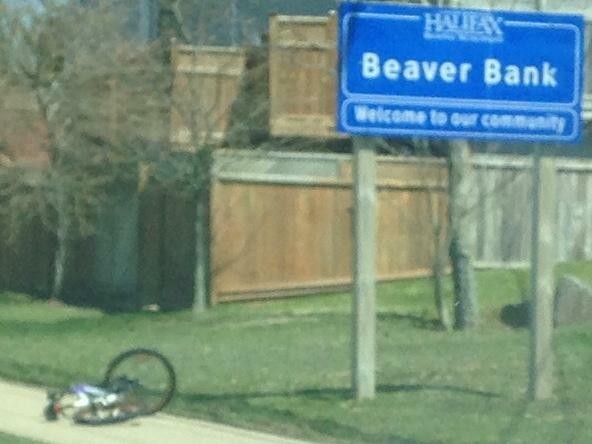 Anyone Missing A Bike? #BeaverBank #Sackville | Sack-Vegas!!!! 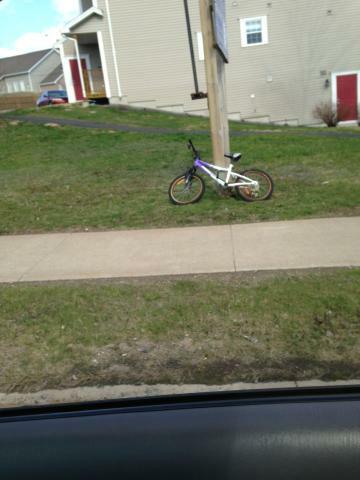 Earlier this morning, some dude was spotted dumping this bike on the sidewalk near Beaver Bank road/Stokil. Someone has propped it up and it now awaits the owner…..or another bike swiper. It’s at the end of Stokil. Please share this around! Thanks! Posted by Sacky on May 7, 2014 in Uncategorized. So…..what does this mean exactly? Someone lost a bike and this person is try to help a kid out?